The beautiful scarf is a large square (34x34) with a white background. The swirling design is done gold and brown with black accents. 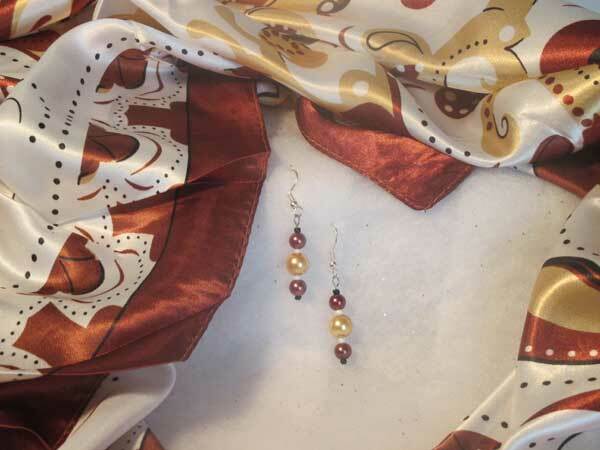 The perfectly coordinating earrings hang 1.25" from the finding loop and consist of large gold pearl rounds and medium brown pearl rounds surrounded by white pearl and black seeds.